As we begin to awaken, deep inside we can hear a voice calling us to something that we can’t quite name. We tentatively walk towards it, searching for answers to questions we can’t even formulate into words. There is a thirst to learn something, but we are not sure exactly what it is we are looking to discover. We may find we don’t know where to start. We can amass books on our shelves but never get around to reading them all. When we do delve into a book, we can easily gloss over the practical exercises and fail to apply the learnings in our lives. We search for someone to talk to who shares our beliefs, only to find ourselves feeling alone, and sometimes wondering if we are the only ones on Earth who are thinking and feeling like we do. We can procrastinate, not knowing which way to turn, worrying that we are not doing it right, or even if this practice we are seeking is even relevant. Membership of The Way of The Buzzard Mystery School is through a regular monthly payment, the amount you pay depends on the level of membership you would like. Enjoy a simple connection with our clan through our regular drum journey circle. Access to new materials, courses and features as we develop and add them. By joining us now you will be 'grandfathered' in at this price. Your membership fee will not increase as long as you maintain your membership. You can cancel your membership at any time. Simply go to your account page and selecting the option to ‘Cancel’ within the Subscriptions tab. As The Way of The Buzzard Mystery School builds you will gain access to new lessons and modules in the courses on a regular basis. Imagine if You had a Clear Focus on the direction of your spiritual path. If you had a place where you could deepen your knowledge of life-changing spiritual practices and be supported along the way. If you had a way of learning how to have access to higher knowledge and wisdom so you could take control of your own development rather than having to do what you are told to do. If you had a place where you could have multiple strands of study so you can choose the ones relevant to your desires, interests and needs. If you had a community you could bounce ideas off and have conversations with which you can’t have among your usual networks of family and friends. If you were part of a group of people who are non-judgmental and who really get where you are at and who are seeking a way ahead just like you. If you had mentors who have applied these tools in their lives for many years. If you had that feeling that you have you own clan, your own tribe at last. We were both brought up in a religion that told us what to believe and set out the way that we had to live our lives. It even told us what opinions to have and put the fear of God into us should we stray from this very ridged path. After many years we both independently found this to not be a good fit but felt cast adrift not knowing which direction to go in. Up to this point our lives had been directed for us in a way that was disempowering and controlling. Now we were in a place with an open book of life in front of us and despite the freedom this brought we both found it rather daunting. There were so many options to choose from and so many paths to explore, and yet a limited amount of time to get it right. Independently we both sought out the teachers, made the mistakes, found the wrong folk, got it wrong again and again until we stumbled upon mentors who taught us without a personal agenda, without judgment, and allowed us to find our own path through the huge maze of possibilities. We continue to seek and continue to refine our approach and to deepen our understandings and knowings of the things that bring joy to our souls, and feel it is time now to answer the call of the many who want to tread their own path in the way that we do. So after years of preparation, planning and wisdom seeking we are ready to bring The Mystery School into the world where we will share what we have been shown, and gently guide those who are fellow seekers along the path of their choosing along with a community of fellow journeyers. These are the mysteries which have helped us understand nature connection, that have enabled us to develop journey and dream skills, and that help us on a daily basis to apply the Shamanic toolkit and the old wisdoms of our land to empower our lives, find our joy and fulfil our dreams. What is the Mystery School? How do I know I can trust the person teaching this? Will I be able to distinguish between sense and nonsense? Will I be able to afford to learn? How am I going to make time in my life for this? Is this the right time? Perhaps I should put this off until another time? ...The Way of The Buzzard Mystery School helps modern day wisdom seekers apply ancient knowledge and nature’s insight so that they can find peace, joy and fulfilment in this changing World. It is a place where you can come to learn not just about Shamanism but to delve into deep nature connection, explore the multitude of aspects of earth spirituality and esoteric traditions and discover how to live an ancestrally connected life. The Mystery School will help bring your practice to the forefront of your life, and keep a focus on your spiritual path. All the materials are delivered in step-by-step video training courses that walk you through each particular subject, bringing the spiritual techniques, teachings and knowledge into your life. As The Mystery School develops we'll be calling on renowned experts in various fields to supplement the lessons and add real depth and breadth to the curriculum. Learn through easy to watch tutorial videos. Deepen your knowledge and understanding taking it one step at a time. There is no need to travel, or take weekends away from your family. Study with us in the comfort of your own home. Pick up the material and put it down whenever you like, according to what is going on in your life at the time. Regular monthly live Shamanic journey Circles. Each Circle is progressive, and will support you on your path. You can also connect in with us through our regular live Coaching Calls, which are recorded for ongoing reference. Share your thoughts, feelings, experiences and concerns or revelations with fellow travellers in our private Facebook Group. Our Foundation programmes give you an excellent grounding in key areas relating to Shamanism, Earth Spirituality and working with nature. Our series of Mini Courses give you a taster of related topics which you might like to study further. We have many ideas for future courses and will be developing these over time. Our Masterclasses to explore deeper into particular topics. Premium members enjoy a 30% discount on the usual price. But can't I do this myself? Now you might be feeling that you don’t need a supported programme like this; that you can find your own way by dipping into books which you are drawn to, attending the occasional weekend workshop now and then, and that you are OK on your own. And you are right, you could do that, and you may well end up precisely where you would like to be, eventually. But it is the long path, and often the lonely path too. Do you have the time to really learn on your own how to deepen your spirituality through a practice that really resonates with you? Can you afford to wait a long time before you begin to realise the benefits in your life from a deep connection with your Spirit Guides, and with nature? I've been a member of School for just four days and already, it's bringing so much to my life. "I've been a member of School for just four days and already, it's bringing so much to my life. The videos, and the way Nicola and Jason present the information is so easy to access, down to earth and most importantly, lovingly crafted. You can tell that they are people who genuinely walk the talk and believe in what they do. I've been journeying for many years to seek wisdom, and yet the first guided drumming recording I listened to of theirs brought a quality I've never experienced before! It was so powerful. I don't how exactly how they do what they do, but I guess that's why it's called mystery!" Loving the Mystery School so far.This feels like something I've been looking for my whole life. "I'm really looking forward to this. I'm currently working my way through the Shamanic Journey Drum course and have a LOT of intriguing things to unravel. Loving the Mystery School so far.This feels like something I've been looking for my whole life. Thank you so much for all the hard work you and Jason have put in to share your knowledge"
I love the way you guys approach your wisdom sharing in such a simple, no nonsense, no fluff manner. ""Thank you Nicola and Jason. You are helping me put the pieces of the puzzle together. I had told myself that I didn't want to follow one person's way . I have come to understand far better the nature of Journeying and to trust my own imagination rather than, as before, thinking that I had to conform to certain rules.. This School is very practice-orientated which means that it can be inclusive of a wide range of beliefs. There are so many different aspects to the group but they are all brought together by the recognition of the importance of Nature in our lives, both physical and spiritual, which is very important to me. It doesn’t feel like an online group as we all get together for Coaching Calls and the Journeying Circle yet I can go at my own pace and revisit teachings over again as many times as I want. I have come to understand far better the nature of Journeying and to trust my own imagination rather than, as before, thinking that I had to conform to certain rules. As a result my Journeying has become richer and more detailed. In addition, I have rediscovered an appreciation of the place of ritual in my life through the planning of my Samhain celebration and setting the mood for Journeying. The small monthly investment to be part of the Mystery School is worth far more to me than I can express. I was introduced to shamanic drumming and journeying by a friend only a short while ago, and I felt I had really found a spiritual practice and way of life I could embrace. The small monthly investment to be part of the Mystery School is worth far more to me than I can express. I spend a huge amount of time in nature accompanied by my ‘lifetime spiritual guides’ my four springer spaniels. They give me such insight into how I need to be living, with simplicity and no attachment. I have found a like-minded community which through the videos, coaching calls, journey circles and facebook page, is giving me a sense of belonging to a wonderful spiritual family. Thank you both for the tremendous compassion you both have, to give such a huge amount of your time for the benefit of myself and others. We have two levels of membership available which you can choose from depending on where you would like to go with your studies. In our Basic Membership level you can learn about Shamanic Journeying with our Foundation course and join us live for a monthly Shamanic Journey Circle. Then, for those of you who would like to go beyond learning the skill of Shamanic Journeying we have our Premium Membership level. Here you can dive into a whole range of Earth based spirituality topics, and study at your own pace in your own time. 24/7 access: So you can learn whenever you like. Video format: So the lessons are really easy to watch and digest. Just press play. Exercises and guided Shamanic journeys: So you can deepen your spiritual connection and be supported in your ongoing path in life. Mini courses - Dip into a growing range of subjects to support you on your spiritual path. Private Facebook Community - Connect with like-minded people who can walk the path alongside you. Regular Coaching Calls - Touch in with us to find answers to any questions that arise. 30% off our Masterclasses - Deepen into particular topics when you're ready to grow even more. There are four Foundation courses which are made up of a series of training videos and activities to support you in your learning. You can watch these at any time, at your own pace. The activities are tailored to each course and are designed to help you apply the teachings into your own spiritual practice. 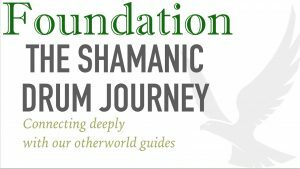 Foundation Course 1 - The Shamanic Drum Journey - connecting deeply with your otherworld guides. This course will support you in learning how to go on a shamanic journey and work regularly with your spirit guides. The shamanic journey is all about shifting our consciousness, so we move from being in one state of mind, into another. We do this on the beat of a drum, and by journeying to different Worlds outside of this current World we live in, we can meet our Spirit Guides and develop an ongoing relationship with them. Module 2: How to go on a Shamanic Journey, including preparing and setting off, what happens during the journey and how the journey ends. Here you will go on a guided journey to the Lower World to meet with an Animal Spirit guide. Module 3: How to interpret the Journey, including distilling down what happened, making sense of the messages and working with the advice. Module 4: Information for people who have learnt the basics and are looking to improve their journeying skills and experience, including how to journey to the different realms, meeting and developing relationships with different guides, journeying unguided and setting intentions for journeying. Bonus 1: A quick guide to journeying straight away, for those people who would like a refresher or are the kind of person who likes to jump right in. Bonus 2: A focus on interpretation, supporting people in understanding the guidance that they have received in the Shamanic journey. Bonus 4: A Trouble Shooting guide to Shamanic journeying, with answers to commonly asked questions and challenges people have when they are learning the skill of Shamanic journeying. This course will show you how to align with the seasons through the Wheel of the Year. Sometimes it can seem that there is no end to the daily routine and ever increasing to-do list. Yet when we pause to look out of the window we notice that, although time seems to be speeding up, natures cycles are moving at the same pace they always have. By dropping into nature's time, we can slow ourselves down, even just momentarily, and this can have a profound impact in supporting us to make the changes we are seeking in our lives. This programme is designed to help you achieve your aspirations, no matter how far away they seem, create time and space for a spiritual practice no matter how busy your life is, and align personally with the seasons to connect in with nature so you can move at a slower pace. Module 1: The Wheel of the Year explained, including what the Wheel of the Year is, how we work with it and the benefits this will bring. Module 2: A focus on each of the Celtic sabbats, following the Wheel through the year, including Samhain, the Winter Solstice, Imbolc, the Spring Equinox, Beltane, the Summer Solstice, Lammas and the Autumn Equinox. In each of the videos we discuss what is happening out in nature at this time, as well as linking it up with how our ancestors would honour this time of year and what was important to them. We include ideas on how you can mark this festival, as well as a guided Shamanic journey which you can go on to connect with your Spirit Guides. Module 3: Now that you have completed a full turn of the Wheel, we give advice on your next steps, and how you can make this an ongoing and regular practice in your life. Undoubtedly animals and our relationship with them have shaped humans through the history of time. Archeological evidence aside, we only need to look at how much we love animals and relate to them in our every day lives today to instinctively know this. For many people, working with animal spirit medicine is something that they are naturally drawn to very early on in their spiritual path. We have ‘favourite’ animals which we are naturally drawn to. We see animals appear in meditations, and animals are usually one of the first encounters that we have when we begin to go on Shamanic Journeys. 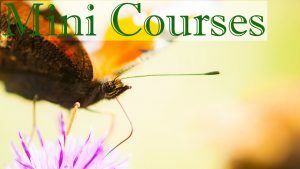 In this course we focus specifically on the healing power of animals, and how we can learn from the messages that they have for us through Shamanic Journeying and nature connection. Module 1: In this Module we introduce the topic sand share the evidence for how our distant ancestors worked with Animal Spirit Medicine. We explain what Animal Spirit Guides are and Power Animals, and also how they link in with the Wheel of the Year. Module 2: Here we delve into working with Animal Spirit guides and there are several guided Shamanic Journeys including shapeshifting into an animal, and meeting you Power Animal. We include guidance on how to interpret the messages you receive, and understand what the energy is of each animal. Module 3: Here we have a database which we are developing to contain information on the natural history of each animal, along with it’s underlying energy. So many people are drawn to the healing power of trees. We notice the immediate shift in our energy as we walk through a woodland, or sit under a tree and look out across the park. Something happens inside us when we are close to them, it’s as if they speak to our soul in some secret, knowing way. In this course we work with the wisdom and healing properties of trees in a deep and intentional manner. We have based it on the Celtic Ogham alphabet. Taking each tree in turn we are creating a series of videos to help you identify each tree at any time of the year, whether it has leaves on or not, and work with its energy. Module 1: Here we focus on three key aspects as an introduction to working with Tree Spirit Medicine. Why we work with tree spirit medicine and the benefits it can bring to our lives, what the individual energies are of each of the trees, and how we can work with them. Module 2: We have a total of twenty lessons in this Module, with each lesson taking an individual tree. We begin with Birch and end with Yew. Within each lesson we cover how to identify the tree, the energy the tree holds and how you can work with it, how the energy ties into the Wheel of the Year, and a guided Shamanic Journey so you can journey to the tree and work with its energy in the Otherworld. Module 3: In this Module we wrap up the course, and give some suggestions of how you can regularly work with Tree Spirit Medicine and bring this practice into your life on an ongoing basis. Each course is made up of a series of step-by-step videos to guide you through that particular topic. Within each Mini Course we will include suggestions on things that you can do to deepen your knowledge and experience, as well as activities you can carry out by yourself. In some instances the course will serve as a pre-curser to one of our Masterclasses. So, if you are drawn to going in deeper you can enrol in a Masterclass to delve right in. Mini Courses will be developed through the year and we will make an announcement each time we have uploaded a new Mini Course to the Membership Site. Our Shamanic Drum Journey Circle - Every month you can join us, in our living room, for a shamanic journey and drum circle. There will be lots of people all tuning in at the same time, and you will be able to see us and follow the content of the Circle live. Also, if for any reason you aren’t able to join us at that moment, we will record the session and upload it into this section of the Mystery School. Regular Coaching Calls - Every 4-6 weeks we have a live Coaching Call. You can join us on any device where you have an internet connection, and ask us any question you like relating to the membership site content. Maybe you have a journey you would like help interpreting? Or you are interested in how to set up sacred space? Are you curious about the meaning behind one of your animal Spirit Guides? Do you have a few questions about one of the Sabbat celebrations? Private Facebook Community - Join our private Mystery School Facebook Group. Here you will find a community of like-minded travellers where you can share your experiences, thoughts, realisations and challenges. You can use this space to post anything you like relating to the material you are working through, and comment and ‘like’ other peoples posts too. You can ask questions, share thoughts and revelations, and generally hang out with people who think and feel more like you do. Masterclasses - Go deeper with us on a growing choice of topics. Masterclasses are available to all members whichever of the two levels of membership you choose. Premium Members receive a 30% discount on the price of the Masterclass courses. Our Masterclasses are stand alone courses which build on the Mini course and Foundation course topics we cover here within the paid membership site. In the Masterclasses we go into a lot more detail, enabling you to really deepen into the subject. They are packed full of activities which you can carry out alongside theoretical explanations and a reading list. How does the Mystery School work? The Way of The Buzzard Mystery School is a portal for online learning. You can access it from your computer, tablet or smartphone whenever you have an internet connection. Can the lessons be downloaded? To maintain the School and enable us to update frequently the core elements of the School cannot be downloaded. However the journeys and other audio elements can be. If I cancel and rejoin will I get the same deal? Not necessarily. You will be charged whatever is the going rate at the time you rejoin if there are places still available in the Mystery School. Do I need to be tech savvy to manage my membership? If you can manage email and facebook you will be able to access all the School material easily. We are there to help too! I am not able to walk very far. Will this matter? Within some of the courses we do make suggestions for taking yourself off outside. When you do venture out into the park or countryside, much of what we teach is about slowing down, and being very still in nature. Seeking a connection outdoors in nature is not about going on long rambling hikes, but rather it is about claiming a patch of land and building a relationship with it. Will I be immediately expelled if my payment should fail for some reason? Not at all. Our payment processor will try to take the payment up to four times before the subscription is cancelled. In the meantime, if you contact us, we will work with you to help find a resolution if need be. Can I really cancel any time I want? Yes! And you don't even need to contact us. You can cancel yourself from your school account dashboard if you set up the subscription by bank card. If you paid by Paypal you can cancel anytime from within your Paypal account. I'm not good with technology. Is there support available? There's a growing and comprehensive FAQs page and deeper support is just an email away. What content is currently available to Founder Members of the Mystery School? The Foundation Journey Ecourse, the first lessons in The Wheel of the year Foundation course, the Journey Circles, Coaching Calls plus any recordings of previous circles and calls. The private Facebook Community is also live and the Deep Nature Connection mini course is complete. The first three lessons of the Spiritual Protection mini course are also available. The other Foundation ecourses will build through the year and the lessons will be delivered on a regular basis every few weeks. The first lesson of the Animal Spiritu Guide course will be ready at the end of January and Module 1 of Working with Tree Spirit Medicine will follow shortly after. 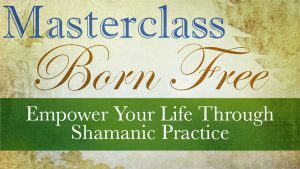 The Bornfree Masterclass is also available to buy (with a 30% discount if you opt for Premium Membership). I find I am slow to learn new information. Can I go at my own pace? The beauty of online learning is that you can take things at your own pace. This is one of the real benefits with this form of delivery as you decide how fast you would like to go through the course materials. How does The Mystery School fit in along side the Born Free Masterclass course? The Mystery School and Born Free are coming from different angles. The Born Free Masterclass is designed to work on empowering your life - working through blocks, identifying what you want to achieve in life and moving towards that goal. It is a journey through several months, focusing on areas of your life you want to change and then applying the Shamanic Toolkit and Nature Connection to work through that change. In the Mystery School we don’t have such an applied structured learning process with this specific goal in mind. It is essentially giving people a strong foundation in all the areas we consider to be key for an Earth spirituality path - trees, animals and the wheel of the year along with a whole range of other topics. The monthly Journey Circles within The Mystery School will build on your journeying experiences. In Module 3 of the Born Free course we go into six different topics to journey on. The Journey Circles are like the lessons in Module 3, only they carry on, with ongoing topics which build upon each other month by month. People find it really helpful to join in with something like this once a month - it helps them carve out time each month, and gives them something to reflect on. The Coaching Calls in the Mystery School will cover topics beyond what we cover in Born Free, as will the Foundation Courses in the Mystery School. Yet they are on topics which people have asked about whilst undertaking Born Free. So, they are complementary and build on the content we cover in Born Free. There is some duplication between Born Free and The Mystery School. In the Mystery School we have a Foundation course in Shamanic Journeying. This goes into more depth compared with what we go into in Module 2 of Born Free, but there is obviously duplication of content as it is the same topic. Also in Born Free, we work with Animal Spirit Guides for one or two lessons. In The Mystery School we have a whole Foundation Course on this, and are developing a library of animal energy interpretations. The same goes for Tree Spirit Medicine. In Born Free we work with two trees, and in The Mystery School we will be going through all 20 of the Celtic Ogham trees. Also in Born Free we don’t mention about Working with the Wheel of the Year, but we have a whole Foundation course developing on this in The Mystery School.